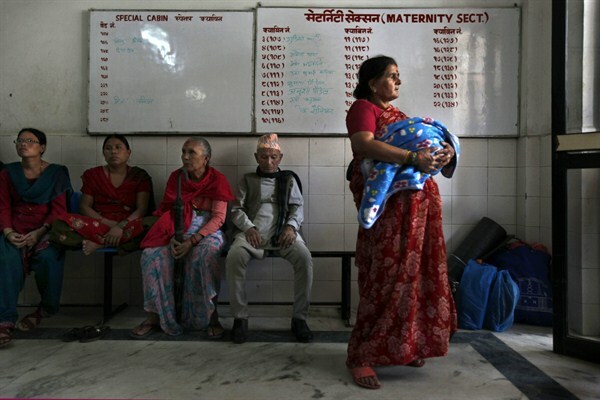 A woman in Nepal, which has seen a decline in maternal mortality, holds her newborn granddaughter at a government maternity hospital, Katmandu, Nepal, Sept. 10, 2010 (AP photo by Gemunu Amarasinghe). There was a time when “affairs of state” were seen as having nothing to do with women. That time is now over. Today we have a strong evidentiary base that links the situation and security of women to state-level outcomes across a wide variety of issue areas—from health, wealth and governance to national security and stability. These linkages are no longer obscure. And because they have been made visible, policymakers have begun to address issues of women’s empowerment, both domestically and as a matter of foreign policy. In some cases, these issues have even reached the top of the policy agenda, as we saw with the articulation and implementation of the so-called Hillary Doctrine by U.S. Secretary of State Hillary Clinton from 2009 to 2013, or the recent pronouncement of a feminist foreign policy by Swedish Foreign Minister Margot Wallstrom.